In districts facing budget cuts, online advanced-placement courses are becoming a popular option for students and parents looking to gain an edge in the college-admissions race and trim tuition costs. The initiative appears to be the most ambitious effort so far to develop classroom materials that align with new academic standards. To produce an appearance of gender equity, colleges have given roster spots to unqualified players, counted male practice players as women and trimmed men’s rosters. Courses may sound more rigorous, but standardized test scores have not risen accordingly, researchers say. Retooling for the nation’s fastest-growing fields, be you a G.E.D., B.S., M.A., Ph.D. or M.D. College Board has begun offering a junior version of its marquee college-entrance exams — this one specifically for eighth graders called ReadiStep. The two-hour test has questions written in the same style as the PSAT and SAT and a similar marking system: scores range from 2 to 8, which aligns roughly with the 20 to 80 they will someday receive on the PSAT, and the 200 to 800 on the SAT. NT Mayor Bloomberg praised Cathleen Black long record as a successful magazine executive when he appointed her to the New York City schools chancellor in November. But Ms. Black had no educational experience, and her brief tenure was troubled from the start. She will be replaced by Deputy Mayor Dennis Walcott, who has long been involved in education policy. What makes public school systems so different from the business world that corporate managerial skills aren't enough for success? For most of us, eight hours of sleep is excellent and six hours is no good, but what if we split the difference? White House staffers Lauren Paige and Gannet Tseggai call the six finalists in the Race to the Top Commencement Challenge to let them know their school has been selected as a finalist. Why not have lectures at home and "homework" at school—and let students learn at their own pace? How to Get a Real Education by Scott Adams, WSJ.com Forget art history and calculus. Most students need to learn how to run a business, says Scott Adams..
but the classroom door's closed." 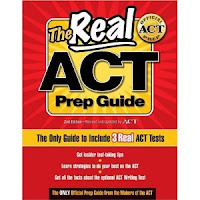 ACT (American College Testing)is a standardized test for US college admission produced by ACT, Inc. The ACT multiple-choice tests cover English, Math, Reading, and Science. There is also an optional Writing test. The makers of the SAT and ACT are fighting for market share as more college-bound students sit for entrance exams. "Now, with some Ivy League schools rejecting nine of 10 qualified candidates, applicants are looking for any edge to improve their chances. Many, particularly those in traditional SAT territory, are taking both tests and submitting the higher score or both scores. . . But not everybody has the time or money to prepare for both tests. And the truth is, most probably don’t need to. While the tests have distinct personalities — the ACT is curriculum-based, while the SAT is aimed more at general reasoning and problem-solving skills — spokesmen for both say their formats favor only one type of student: the one with a good grasp of material taught in rigorous high school courses."